iPhone 8, Apple’s Biggest Changes to the phone. The iPhone 8 design details have been revealed recently and it comes with a lot of changes. The basic theory behind the iPhone 8’s design is that it won’t be prone to accidental inputs. The images of the iPhone 8 that have been revealed are the finalized hardware design. The phone has an elongated 5.8-inch display which is surrounded by small bezels. The bezels are approximately 4mm on all sides. The lightening port still exists although the USB type-C may feature on the wall plug. Also, there are stereo speakers through a combination of bottom speakers along with an amplified earpiece. 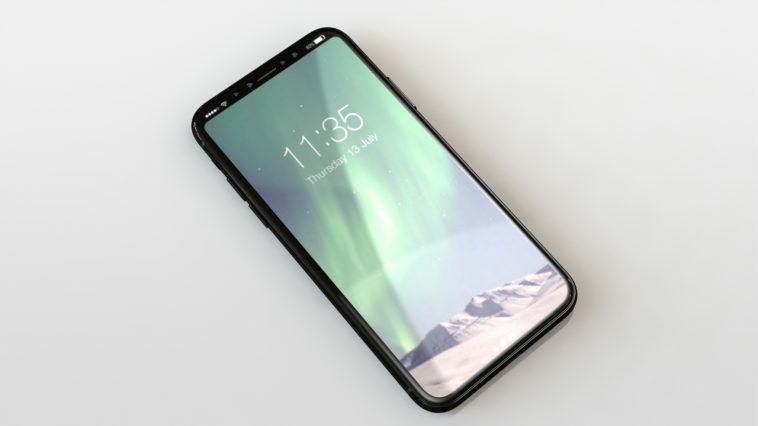 Apple is also expected to enlarge the power button which will give the brand a fallback option for Touch ID. But it is still unclear what it actually comes up with in this regard. That is because the technology for screen integration does exists but it is a challenge for scaling it to 10s of millions. Still it is uncertain that how Apple will redesign iOS 11 to accommodate the cutout at the display top which will be present to accommodate the front facing camera and sensors. It is believed that remaining corners will simply be used for connectivity and battery status. The notifications will be switched to the bottom in a new easier-to-reach as well as more detailed. Also, the battery life will also be improved due to addition of a new L-shaped battery configuration that is expected to deliver iPhone 7 Plus beating stamina. When it comes to price, the iPhone 8 will be the most expensive model of all times as the price will start from $1,100 to $1,200. In September, there will not be one but three new phones will be launched for Apple fans.